Smacksy Saturday Photo: Boats on the Bay - . 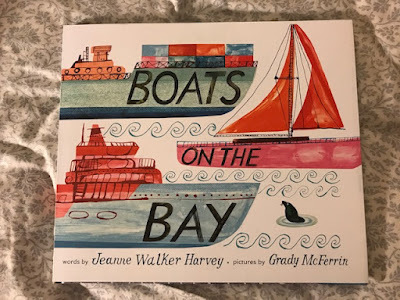 This week I read a gorgeous children's book. Boats on the Bay is written by Jeanne Walker Harvey and beautifully illustrated by our friend Grady McFerrin. This book will make a sweet holiday-birthday-something-gift for your favorite baby-toddler-youngster-person.